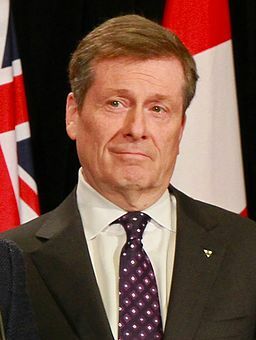 Reporting From Toronto, Canada – Toronto Mayor John Tory Sunday urged City Council to proceed with “caution” against rushing into a bid to host the 2022 Commonwealth Games. City Councilor James Pasternak, in a motion to be heard in chambers Tuesday and Wednesday, has asked the city to investigate a possible bid for the 2022 Games – an opportunity that became available earlier this month when Durban in South Africa was stripped of the Games after missing critical milestones and payments. “It was unfortunate that we were not able to bid for the 2025 International Exposition, and it was unfortunate that we were not bidding for the  Olympic Games. Pasternak said Glasgow enjoyed increased tourism benefits when the Scottish city hosted the Games in 2014. He pointed to a broader strategy the city is undertaking to explore international hosting opportunities and that any bid for such events are carefully considered and well-planned. Tory withheld a bid for the 2024 Olympic Games just hours before the deadline explaining that the city was not prepared enough to commit to the process. The Commonwealth Games Federation (CGF) has yet to set a process or timetable for selecting a replacement host. Preparations for the 2022 Games would need to take place within five years instead of the usual seven, due to Durban’s exit, which will create additional challenges and risks for any city wishing to host. 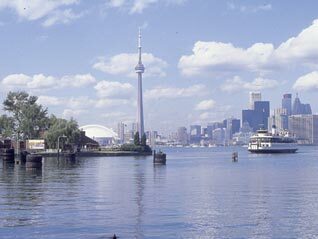 The most challenging venue required for the Games are athletes accommodations, and those built for the Pan Am Games are already being sold to new tenants. Pasternak suggests that instead organizers could use University residences, that will be vacant during the summer, to serve as the Athletes’ Villages. The councilor also said that a financial partnership with the provincial and federal governments will be essential for any bid to move forward, but not a referendum. Durban was elected host city unopposed in 2015 after Edmonton in Canada dropped out of the race so that it could instead focus on recovery from dropping oil prices. But with the CGF back in the hunt for a host two years later, Edmonton is once again considering a bid along with British cities Liverpool, Birmingham, Manchester and London as well as Kuala Lumpur and New Delhi. Australian cities Melbourne, Sydney, Perth and Adelaide have also voiced interest but Australian Commonwealth Games officials have said a bid is unlikely with Gold Coast already playing host to the 2018 edition of the Games. Liverpool and Birmingham are considered to have an advantage over the other cities since they’ve already been preparing to bid for the 2026 Games.